A decorative desk accessory that will keep your scattered papers and receipts neat and clipped together all in one place! 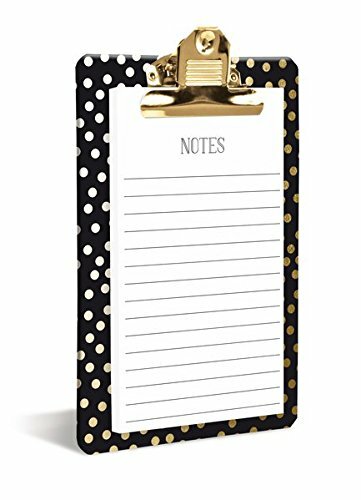 Complete with a matching 80 sheet notepad, dress up your space with our Gold Dots Clipboard that will allow you to get down to business in style! Makes a great gift for teachers and coaches too!